As you can see there are 5 I2C buses. With the i2cdetect tool we are looking for the 0x77 address, which is the BMP085. 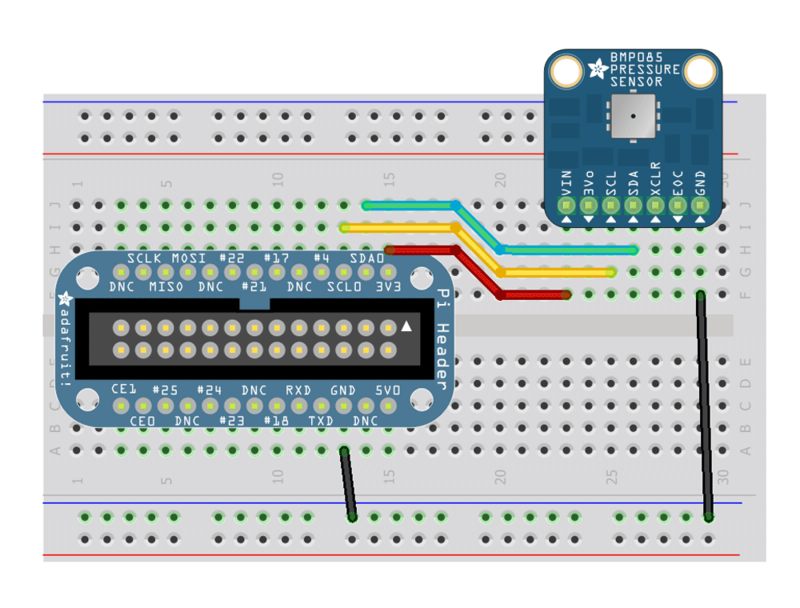 We are using the Adafruit BMP Python Library to access the sensor. There are some example scripts in the examples folder.